Unfortunately for Gates, Steve Jobs was one step ahead. May 12, 2005: Longtime Apple frenemy Bill Gates tells a German newspaper that Apple may have hit it big with the iPod, but that its success isn’t going to last forever. The reason? Mobile phones are going to steal the iPod’s market share. 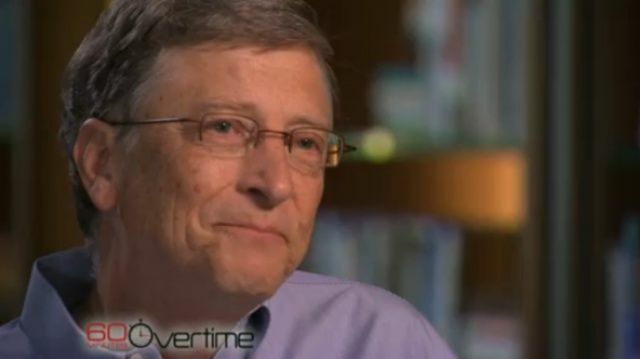 The good news for Gates is that he was right on the money. The bad news for Microsoft is that Apple cannibalized itself by making the iPhone, which became even more successful than the iPod. Gates went on to describe how the rise of cellphones, capable of doing much of what an iPod can do, would destroy the market for MP3 players. At the time, the Apple press viewed the comments from Gates as sour grapes from a man who — having stepped down as Microsoft CEO in 2000 — was no longer relevant in the tech world in the way that Steve Jobs was. Given that Sony sold 340 million Walkmans worldwide over 25 years, and Apple had sold just 15 million iPods, they were confident that the iPod had a long future ahead of it. What we know today, however, is that Jobs didn’t disagree with Gates. The year before, at a time when sales of the iPod portable music player made up approximately 45 percent of Apple’s revenue, he struck a deal with Motorola to produce a cellphone that could play songs from iTunes. That phone wound up becoming the immensely disappointing ROKR E1, the grandfather of the iPhone and the first Apple-sanctioned cellphone to run iTunes. It was a bust, but it pushed Apple to enter the smartphone market — which it did two years later. Yeah. Who would ever want a smartphone without a physical keyboard?